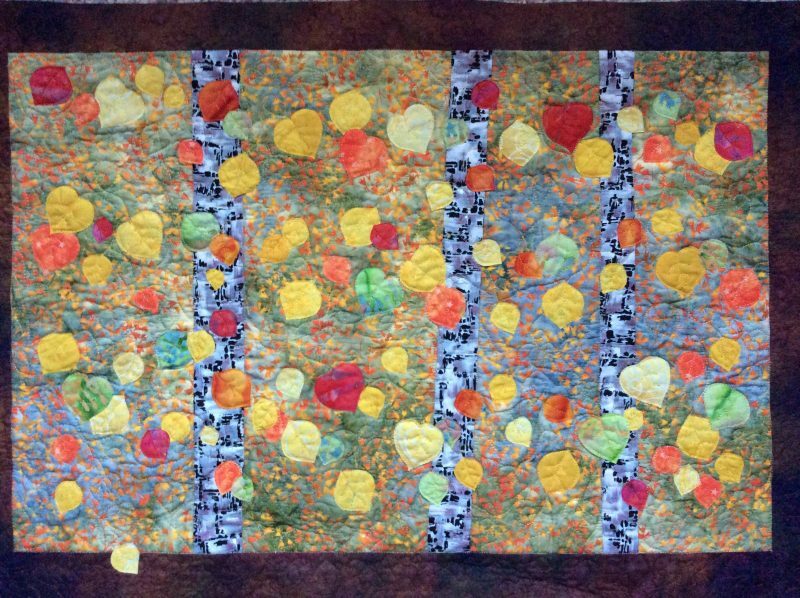 One in a series of quilts based on photographs I’ve taken in natural settings, this one at a local park: Huntley Meadows in Fairfax County. 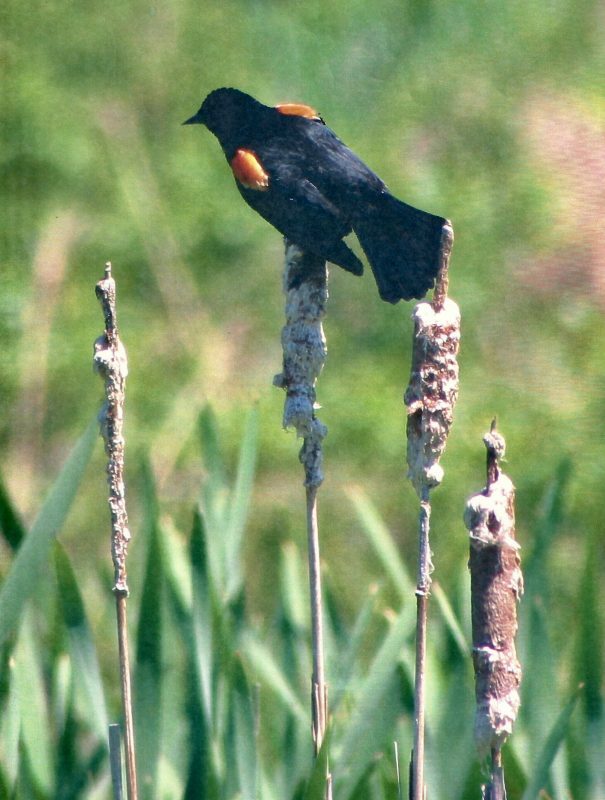 This small quilt was a spinoff from the larger Redwinged Blackbird quilt. 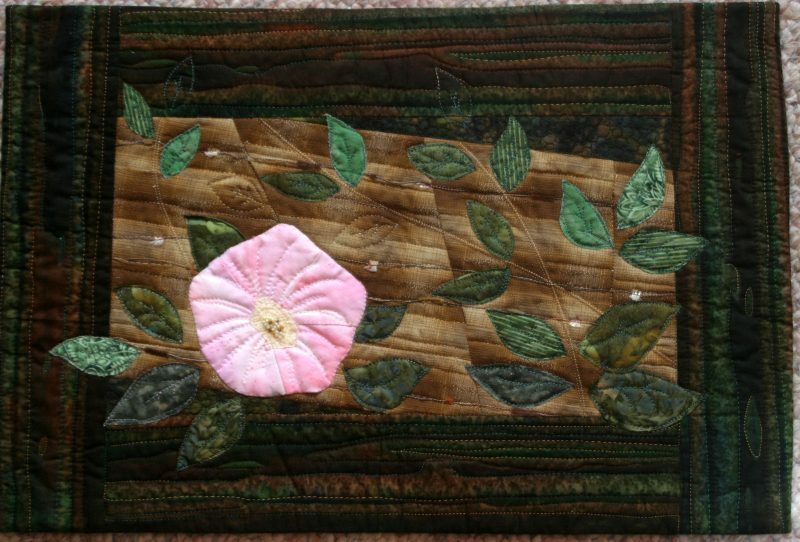 This small quilt is based on a photo I took of a morning glory growing on a log in a local park, Huntley Meadows. I used a plaid homespun fabric that has little nubs of thread, cut and reassembled, to depict the broken and decaying log. The vine stems are quilted using a double needle. Painted details have been added to the flower, and the piece is lightly beaded. Cotton fabrics. Machine applique and quilting, beaded. Available for sale in my online store. 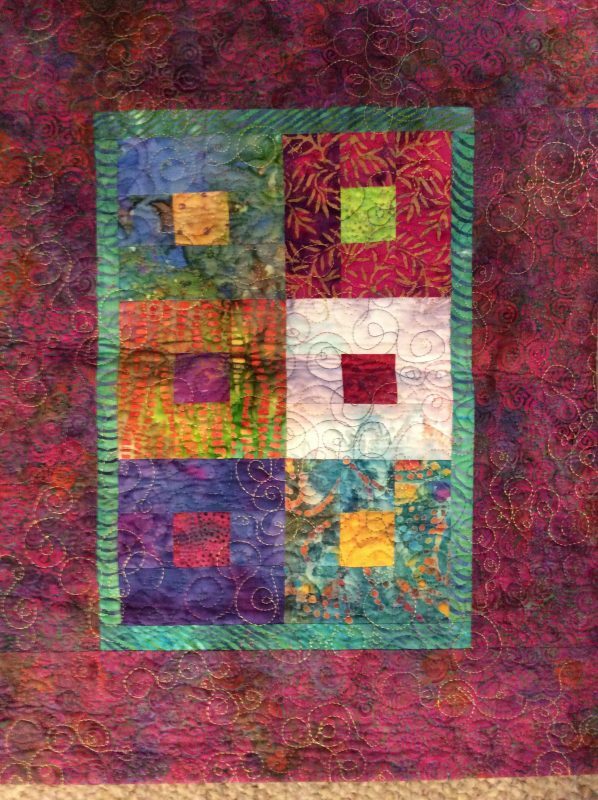 This is part of a series of quilts I made exploring complimentary colors. The original quilt was to be mostly blue and orange, but a failure to be able to color between the lines resulted in a larger color palette. I continued exploring this simple block with this small study. 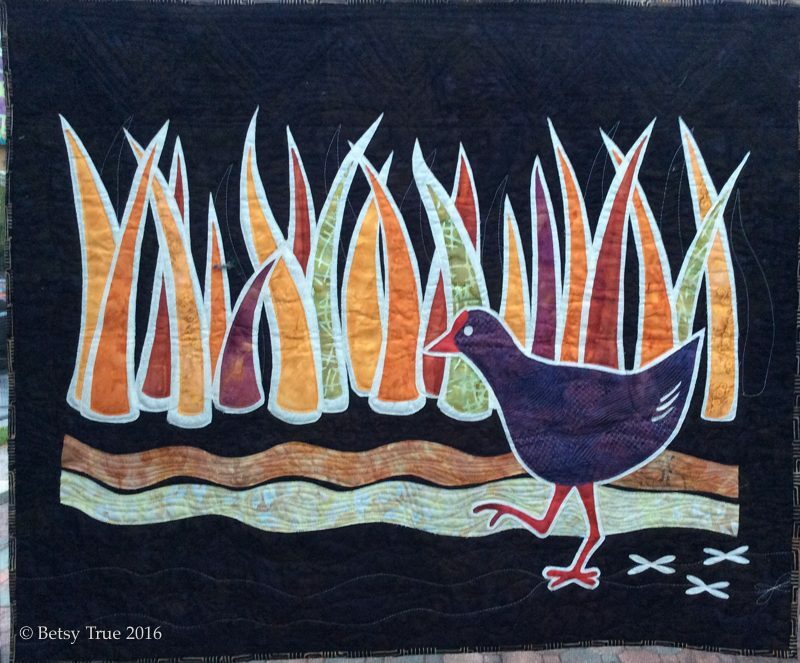 I made this quilt for a challenge to make a quilt inspired by a piece of traditional African fabric. The colors, and the shapes of the water and the bird foot prints came from the fabric. 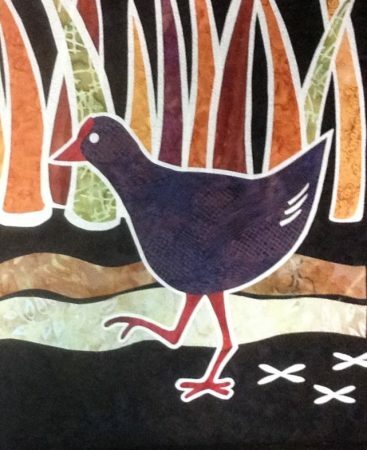 The bird is a purple swamphen (now called African swamphen, native to the same area as the fabric. The woodblock style is one that I’ve been exploring in a new series. Cotton fabrics. Machine appliqued and quilted. This quilt was made for the juried exhibition Fly Me to the Moon celebrating the 50th anniversary of the moon landing and is currently travelling. The call for entries asked for just about anything that mentioned the moon, from depictions of the Apollo missions and astronauts to the moon in nature and popular culture. 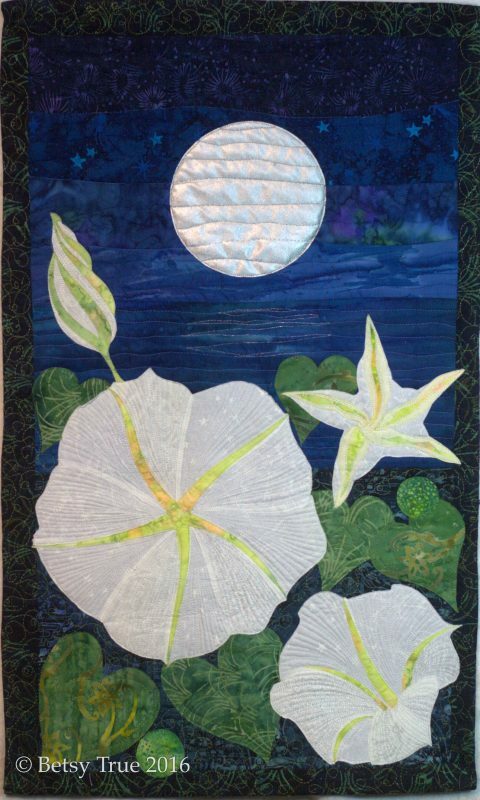 The moonflower blooms at night. 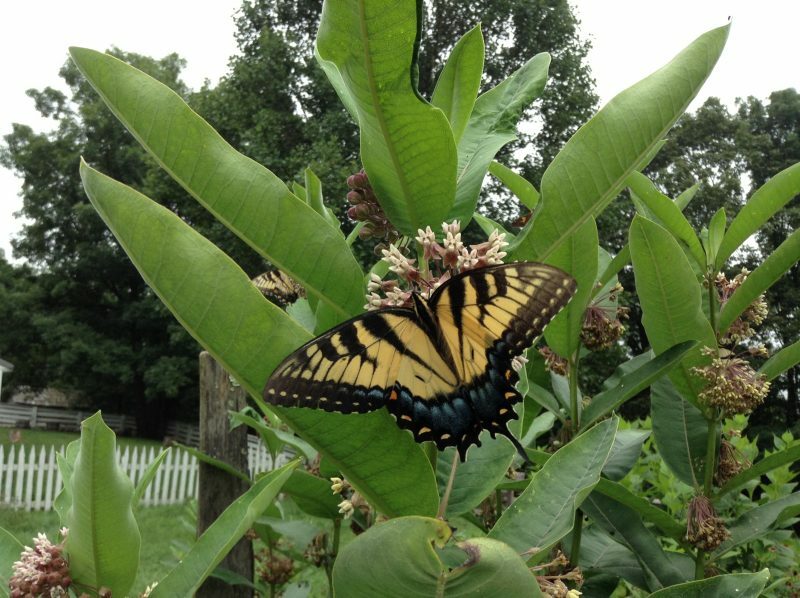 The buds, seedpods and leaves are as beautiful as the bloom itself. Cotton fabrics. 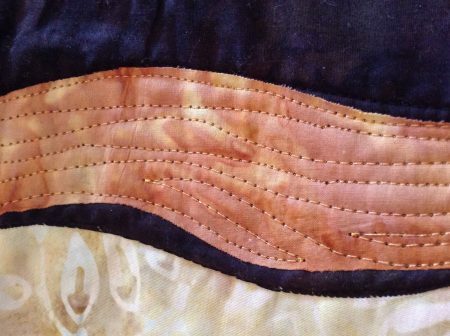 Machine applique and quilting. 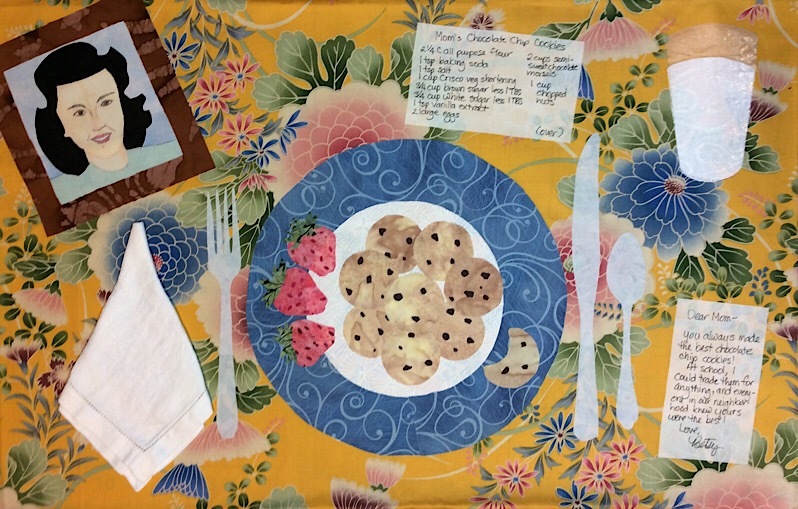 I made this quilt for the juried exhibition What’s For Dinner for the 2015 Houston International Quilt Festival. Everyone loved my mom’s chocolate chip cookies. 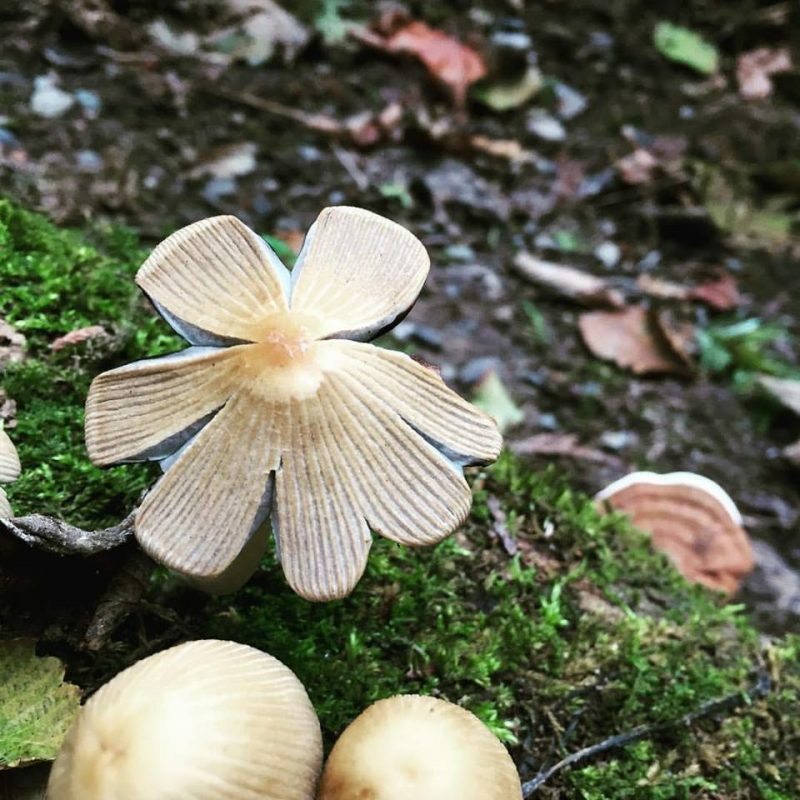 She made a batch every week while I was growing up, and everyone in the neighborhood enjoyed them. Cotton fabrics, linen napkin, sheer fabric for milk glass. Machine appliqued and quilted. I made this quilt for the juried exhibition I Remember Mama. It travelled as part of that exhibition across America and to Lyon, France. It depicts my mom at approximately age 19 in the large picture, soon after she left her home in Hibbing, Minnesota to come to Washington, DC to be one of the government girls. 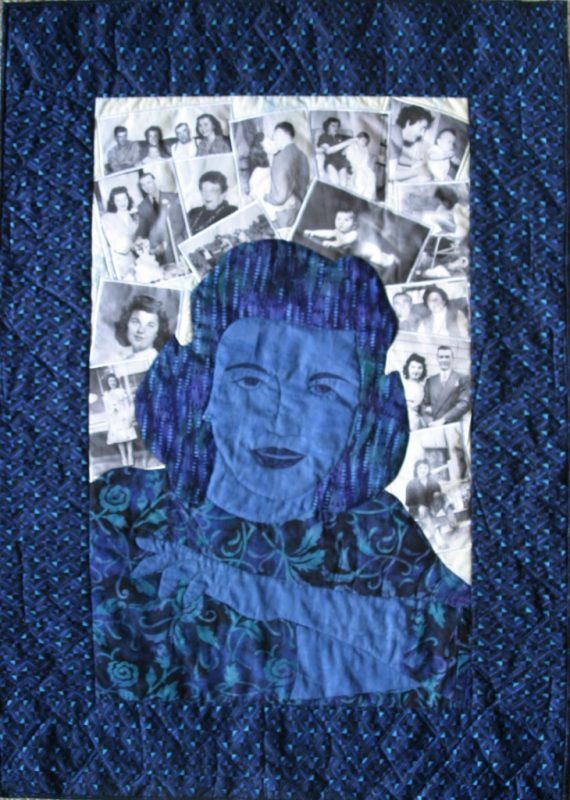 Behind her, printed on fabric, are pictures from her life as she got married and raised her family. Mom had died in 2002. 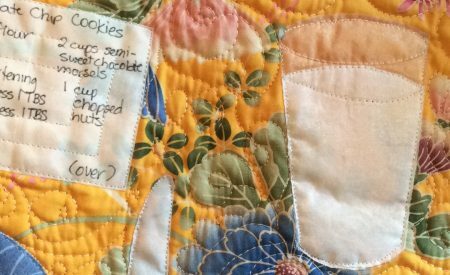 Going through the family pictures and making this quilt was healing for me. Cotton fabric. Machine and hand applique, machine quilted. 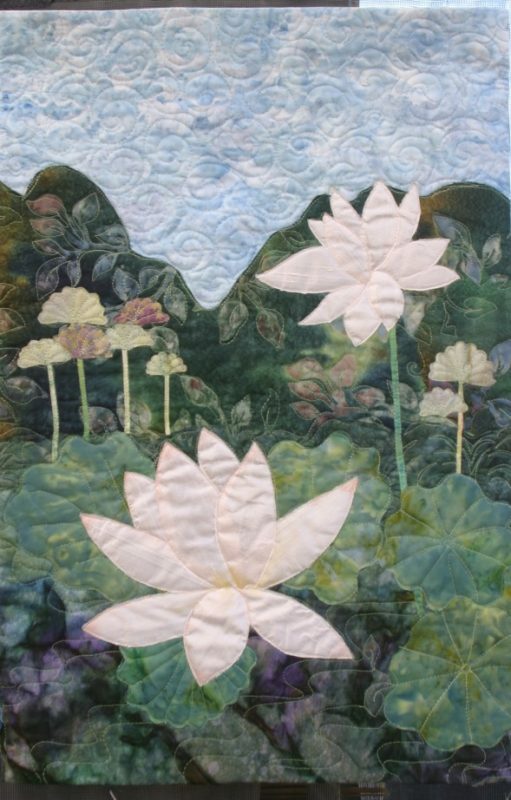 This quilt is based on a photograph I took at the Kenilworth Aquatic Gardens. I love the tranquility of the lotus and lily ponds at the Aquatic Gardens. 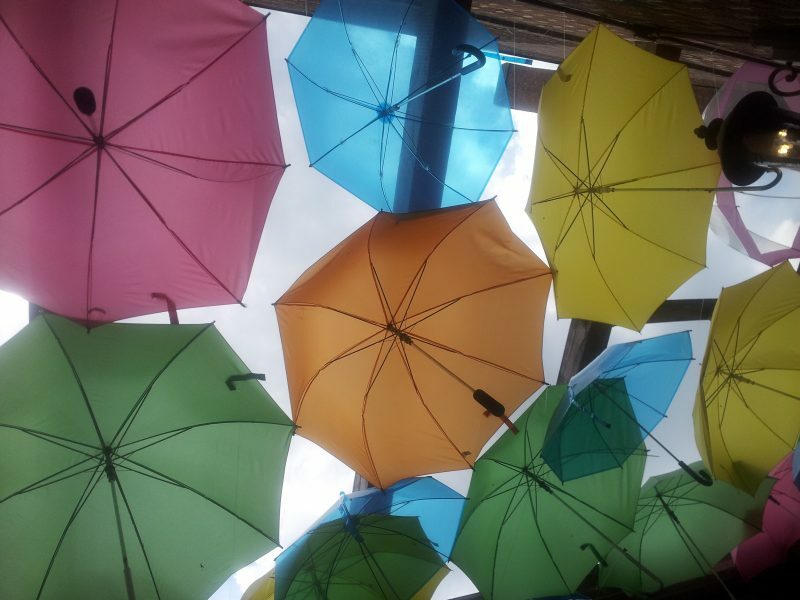 In a private collection. I added some color to the silk lotus blossoms with textile paint. Cotton and silk. Machine appliqué, machine quilted. Painted. I started this piece in a Ruth McDowell workshop in 2002 at the Empty Spools Seminar in Asilomar, California. The design is mine in its entirety, using Ruth’s methods. It is pieced. I was honored to talk to Ruth many years later at the Vermont Quilt Festival and she said she remembered the quilt very well. Currently traveling with the juried HerStory exhibition. 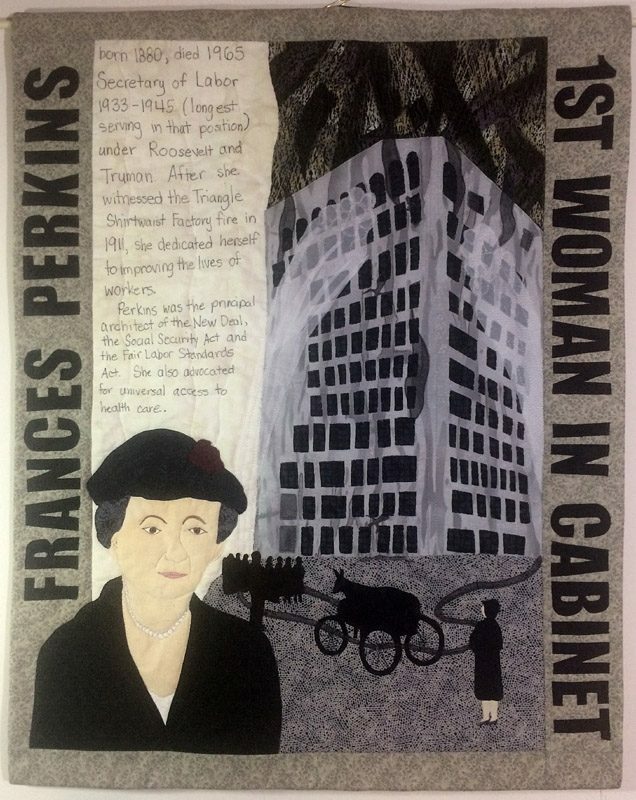 Frances Perkins was the first woman member of the cabinet, under Franklin Delano Roosevelt, and wrote most of the New Deal and many of the labor laws that came out of that administration. 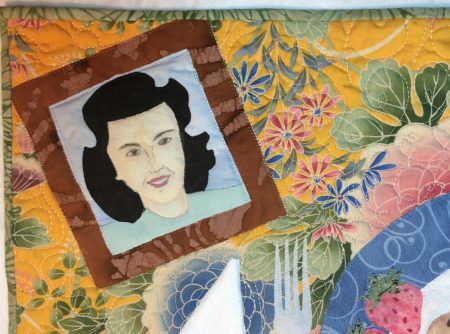 This quilt depicts a defining moment in Frances’s life: witnessing the Triangle Shirtwaist Factory Fire. Many young women working in the factory died–they were not able to leave the floor where the fire broke out because the doors had been locked. Some jumped to their deaths. If you look closely, you can see some shadowy figures falling. Cotton. Machine quilted and appliqué. 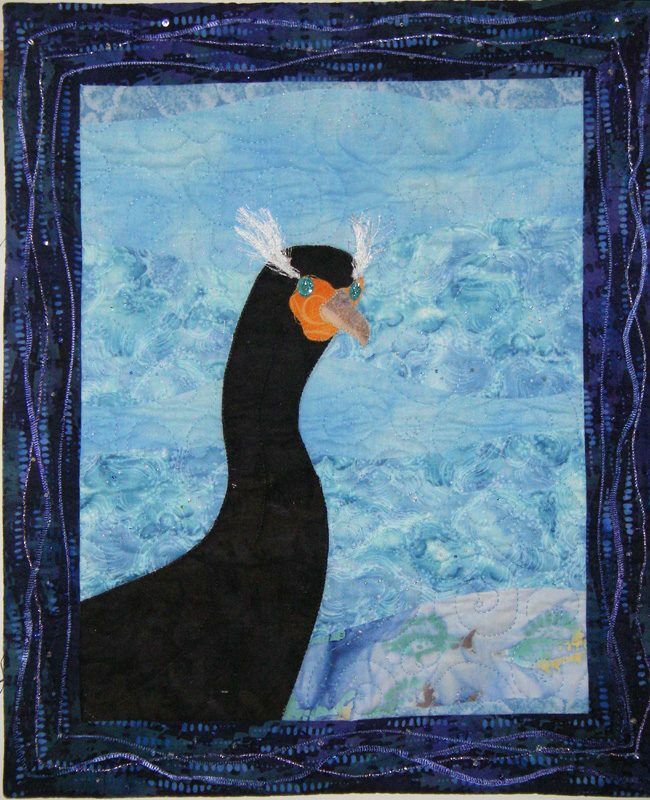 One in a series of quilts based on photographs I’ve taken in natural settings, this one in La Jolla, California. Close up, one can see the spectacularly turquoise blue eye of the cormorant. Commercial cotton fabrics and yarn. I have long loved the shape of aspen leaves and the beautiful colors they turn, contrasting with the pale bark of the tree. 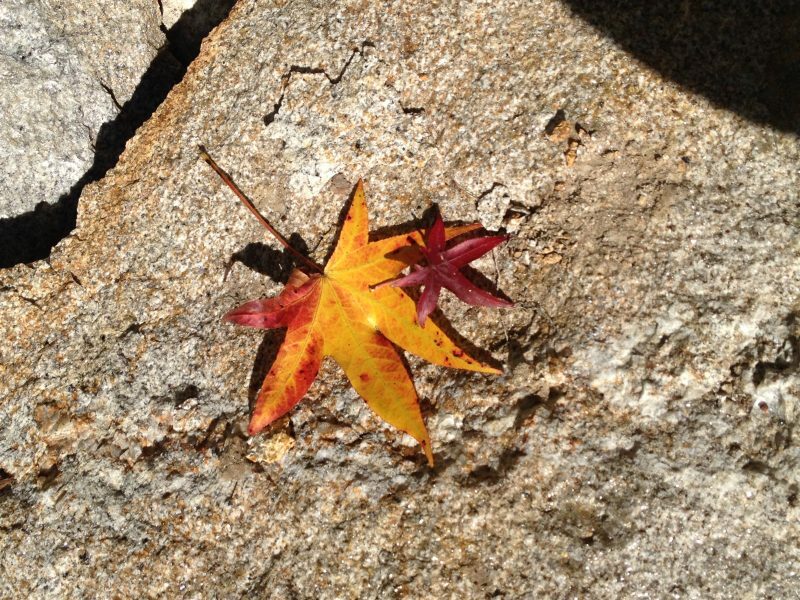 This is my interpretation of aspen leaves in the fall, inspired by a trip to Colorado. 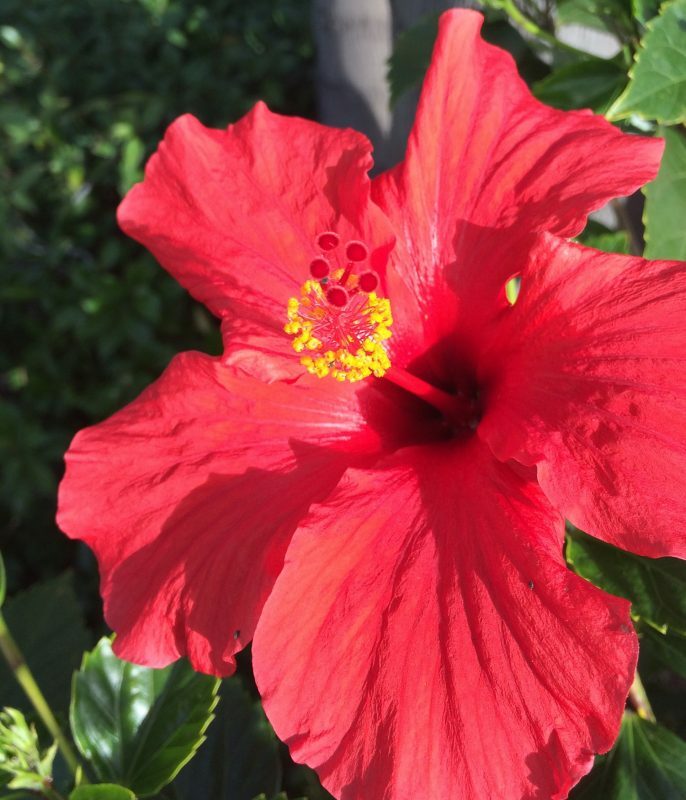 Commercial cotton and silk fabrics. 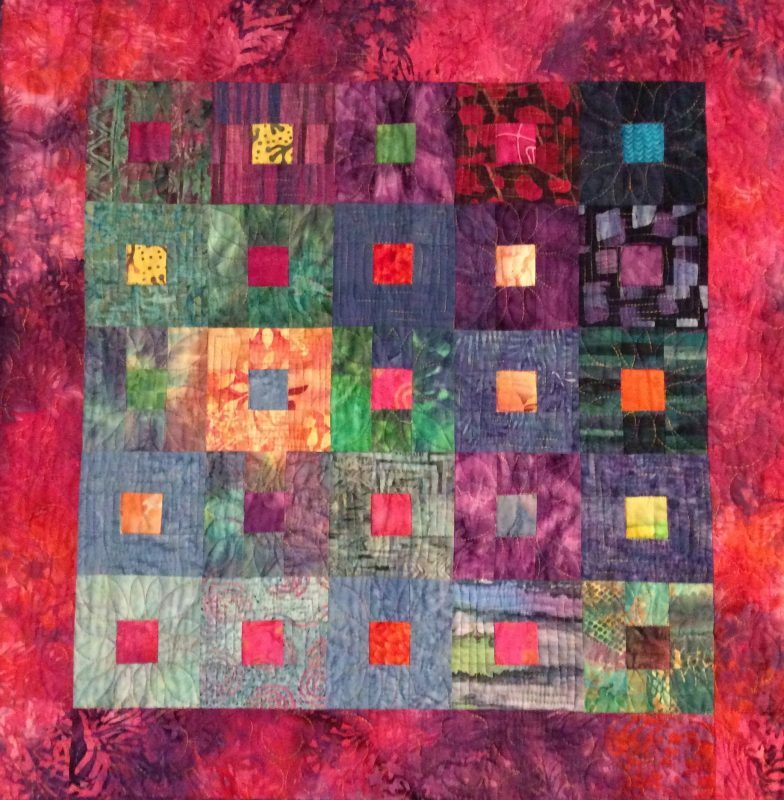 This is part of a series of quilts I made exploring complimentary colors. The original quilt was to be mostly blue and orange, but a failure to be able to color between the lines resulted in a larger color palette. Blocks that didn’t make it into the first quilt formed the basis for the second one. Commercially available cotton fabrics. Machine pieced and quilted. One of a series of collage quilts I made combining various fabrics from my collection of Asian and Asian-themed fabrics. Indigo kimono and commercial fabrics. 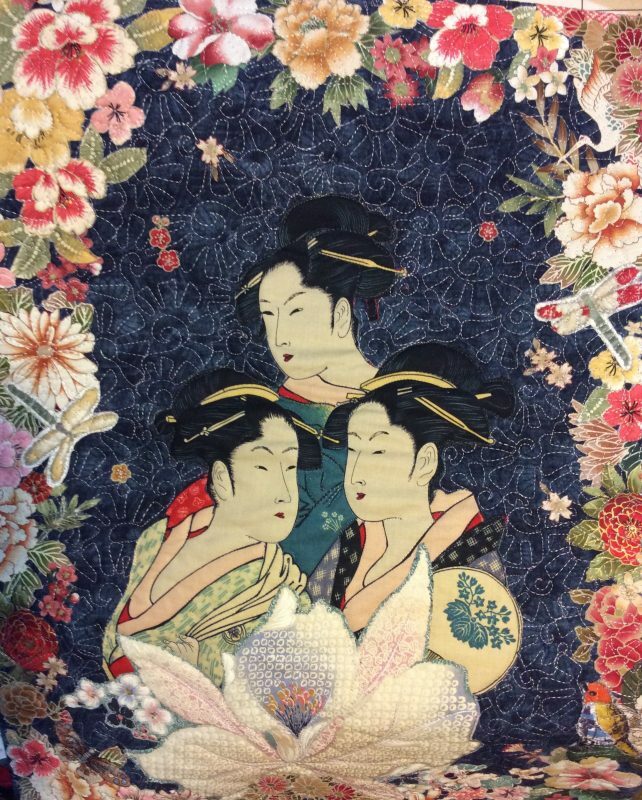 I cut the geishas from a printed panel. The orchid in the foreground was from another commercial fabric. The various individual flowers in the border were cut individually from many different fabrics and rearranged and then fused to the background to make the border. Heavily machine quilted using traditional sashiko patterns. 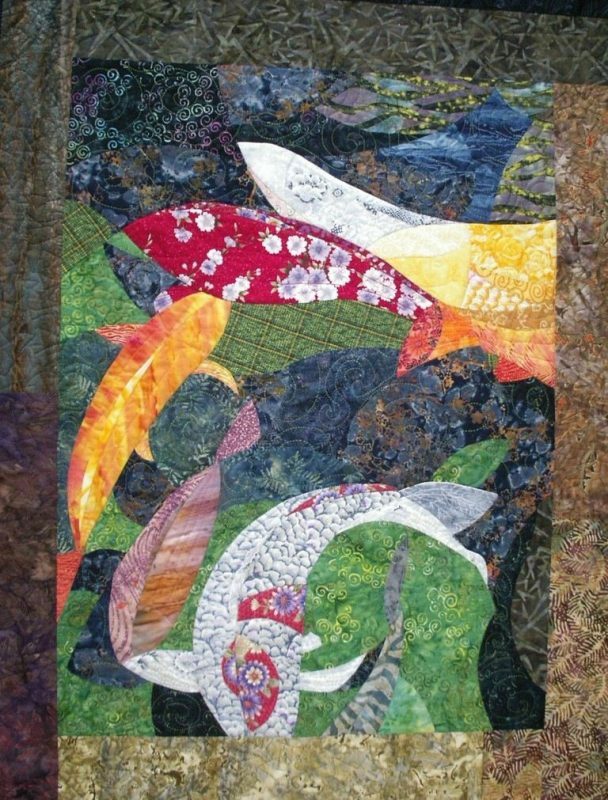 One of a series of collage quilts I made combining various fabrics from my collection of Asian and Asian-themed fabrics. Indigo kimono and commercial fabrics. 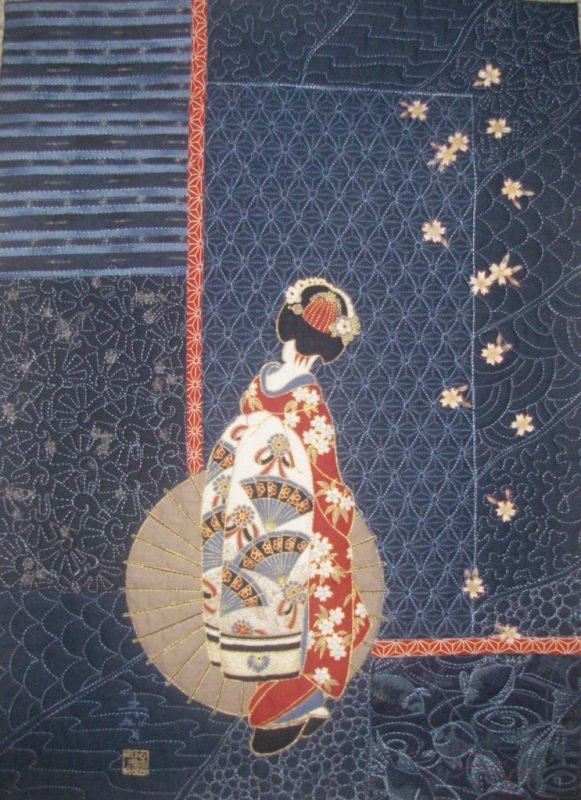 I pieced the background, cut the geisha and the individual flowers from other fabrics and fused them to the background. Heavily machine quilted using traditional sashiko patterns. 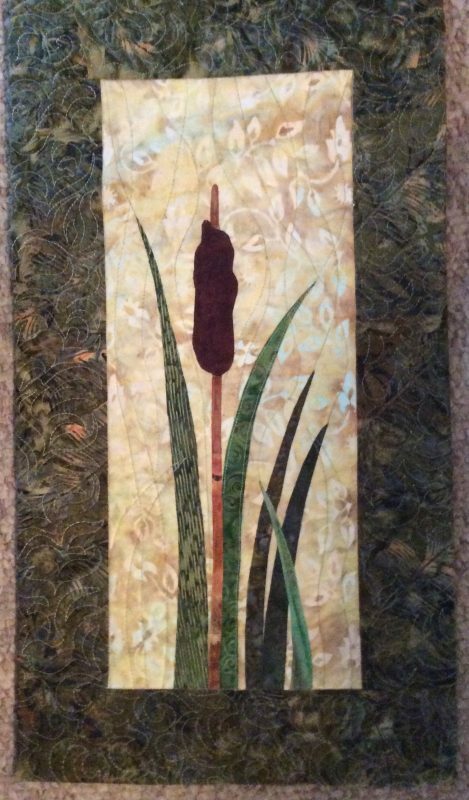 This abstract quilt represents a mossy stone path through a dense flower garden–phlox, perhaps? The blue represents a small water feature in the garden. Cotton. Machine quilted and applique. 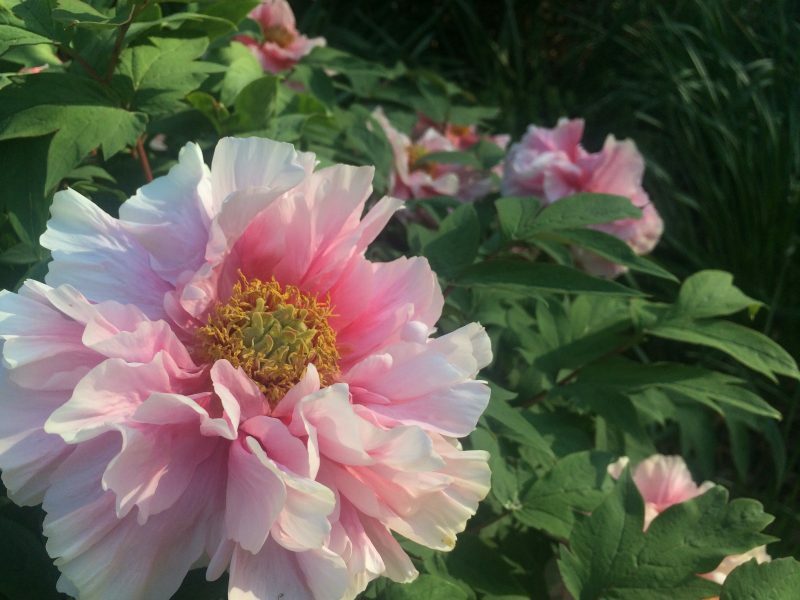 Densely quilted in floral patterns. This quilt was made for a challenge by my critique group to do the same image in both color and black and white, either in separate quilts or in one quilt. 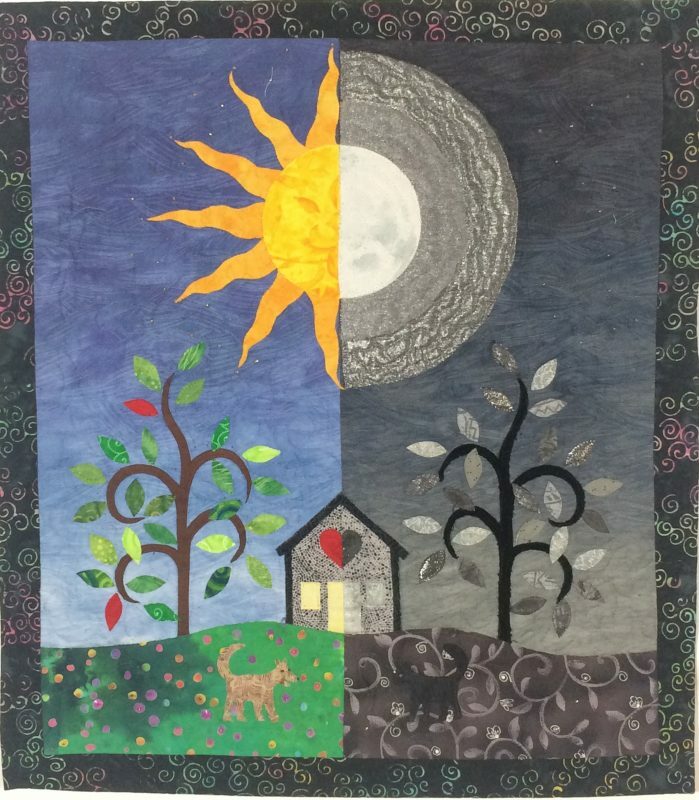 During the recent total eclipse, it struck me that I had subconsciously created an eclipse quilt!